When a young Edwardian family leave the shores of England to build a home in the wilderness of East Africa, what they encounter is beyond their imagination, but remembered forever by their 11-year-old daughter. 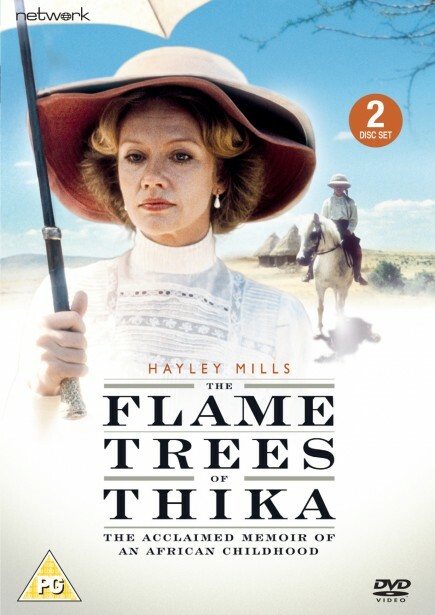 Based on the celebrated memoir by Elspeth Huxley, The Flame Trees of Thika brings to life the colour and adventure of turn-of-the-century Kenya. In 1913, Robin and Tilly Grant arrive in Africa with the dream of transforming a barren plot of land into a thriving coffee plantation. But torrential rains, relentless insects and savage animals, along with the natives and other settlers, challenge their ambitions. Will England call them back? Or will the wide-eyed wonder of young Elspeth unlock the mysteries of a foreign land and open the doors into the pleasures and rewards of an exciting new home?